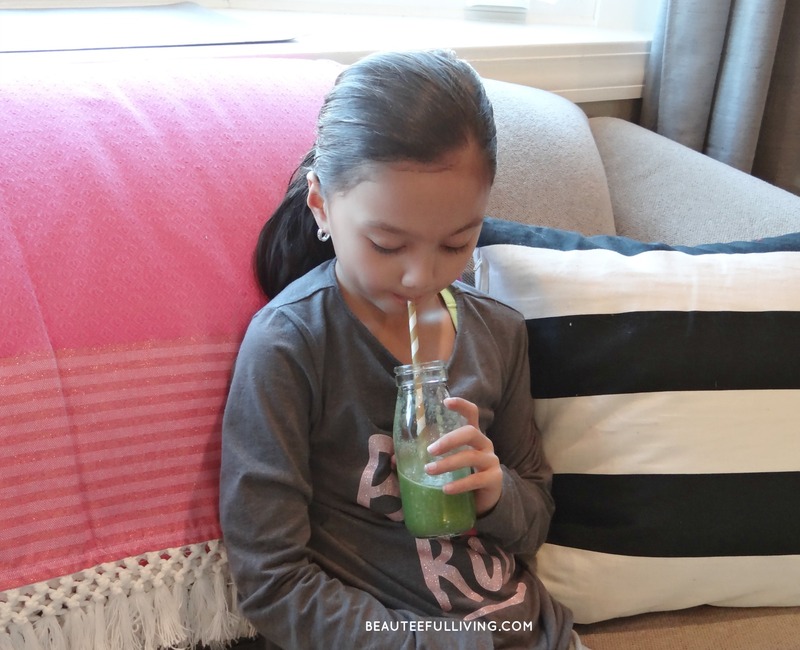 Cheers to healthy starts, lovely readers! With the start of a new year, most people are abuzz over healthy habits. When it comes to meals, you don’t need to be a health expert to agree that there’s a lot of truth to the old saying, “breakfast is the most important meal of the day.” Well, I’ve always found that statement to be problematic. It’s not because I don’t agree. I do! I am not a fan of breakfast. It is my least favorite meal of the day. In fact, prior to being pregnant with my first child, I often skipped breakfast. I don’t anymore but I’m usually not very inspired by the morning food options. Not only that, I just don’t have much of an appetite in the morning. Today, I’m so delighted to introduce you to Nadia Murdock, an inspirational Health and Fitness coach I had the privilege of meeting a few months back. She is here on the blog today to share a smoothie especially created for Beauteeful Living‘s readers. For someone who isn’t a fan of traditional breakfast options (that would be me), a smoothie drink is an excellent alternative! Of course, smoothies can be consumed during other parts of the day. 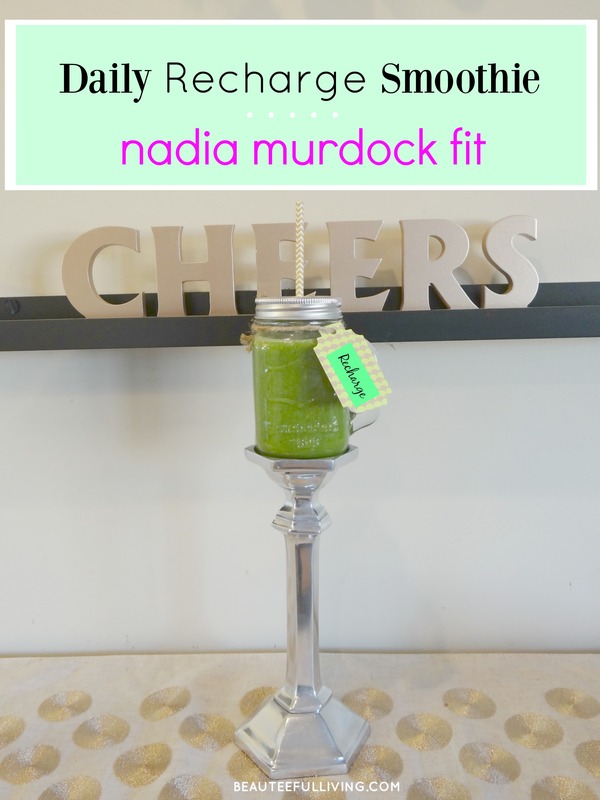 Before I get to Nadia’s delicious “Daily Recharge Smoothie” recipe, I’d love for you to get to know Nadia! With Nadia’s expertise on health and fitness, she has a long list of media appearances which includes E!, Fox NY, NBC, and Arise Entertainment 360. Nadia’s impressive resume also stretches to print media such as InTouch Weekly, Life & Style, Huffington Post Healthy Living, and Latina Magazine just to name a few. You can check out her extensive media appearances HERE and print coverage HERE. Finding time to sneak in your much needed fruits and vegetables each day may be one of your healthy lifestyle goals in 2016. If it’s not, make sure to add it to the list! Below you will find a simple recipe that is perfect for anytime of the day that I am sure the entire family will enjoy as well! A delicious smoothie rich in antioxidants, iron, and Vitamin C.
Place all ingredients in a Vitamix or blender. Blend until the contents are completely mixed and smooth. Because I won’t recommend a recipe without trying it myself, I followed Nadia’s instructions and made this easy + delicious smoothie! Since I couldn’t find black currant blueberry juice in my local grocery store, I improvised and used cran-blueberry juice instead. That’s the beauty of this smoothie. You can always swap out some ingredients if necessary. Don’t let the green color scare you. It tastes amazing! Want proof? Ellie, my 7 year-old (picky eater) asked to try it after seeing me blend the ingredients together. Please PIN / share this post. Thanks a bunch! 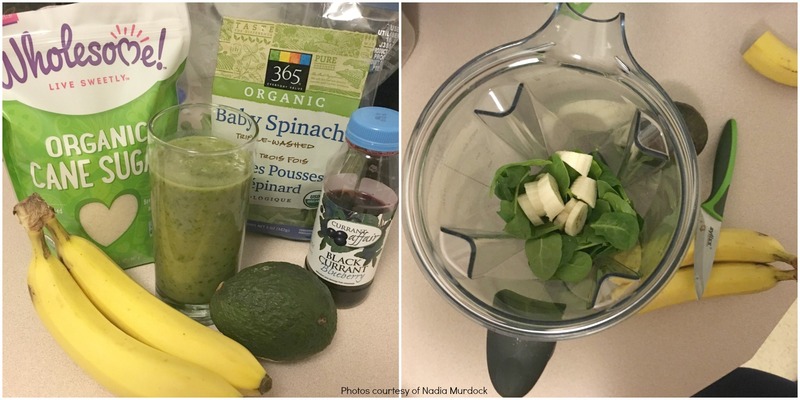 I’d like to thank Nadia for creating this Daily Recharge Smoothie for Beauteeful Living readers and me (yay)! This tasty and healthy smoothie is a welcome change to my usual breakfast options. Thanks so much for stopping by today. 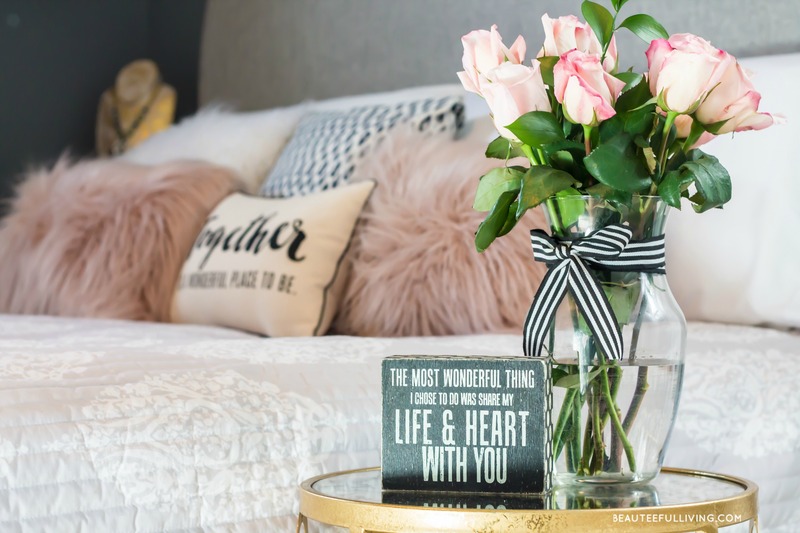 I can’t wait to share more of what’s ahead this year on the blog. Many thanks for joining me on this journey! Will discuss more in coming weeks! Cheers to healthy and inspired starts to 2016! Xoxo, Tee. P.S. Are you a breakfast person? What are your thoughts on this blog feature? I love breakfast, but I have been drinking a ton of smoothies lately. I have all of the ingredients in the house except the juice. I will give it a try soon. I love to start my day with a smoothie. This recipe looks delicious and healthy. I would love to have a chance to talk to Nadia Murdock. I am not a big smoothie drinker myself but I will share this with my friend that is! She would love this. I think it’s great that your little one drinks it too. I love smoothies and this one is easy to make. With 2 picky eaters at home finding that food that is good for them and not junk food is a struggle. I can see myself giving them this as a Popsicle. I love smoothies, I need to invest in a blender for making them here at home. That smoothie recipe sounds great and I love that it’s rich in iron because that’s something I’m always low on. It’s great that your little one loved it too! If your little one loved it, then it must be good. Kids are notoriously picky. Like you, I’m not much of a breakfast eater, but I am constantly drinking something so this is totally perfect for me. Love making smoothie! They are so easy for me to grab and go in the morning so I cannot wait to try this recipe. I haven’t tried using avocados in my smoothies! such a great idea. I’ve been wanting to start a healthier lifestyle but I just can find the will power to do it. I guess it all starts in the mind. I must train my mind and let it move my body towards wellness. Nadia’s smoothie looks super healthy! One of my biggest goals this year is learning to lead a healthier, more active lifestyle. I’m allergic to raw cane sugar – do you think honey would be a good sub? I will definitely give this recipe a try! Hi Jaime, I’m sure you can substitute can sugar with another sweetener. Thanks for your comment. Best of luck to a happy + healthy 2016! Nice to meet Nadia! I a couple of friends who are life and fitness coaches too and I appreciate the tips they have been giving me towards a more wellness lifestyle. I am glad there are those that really give us the help we need. 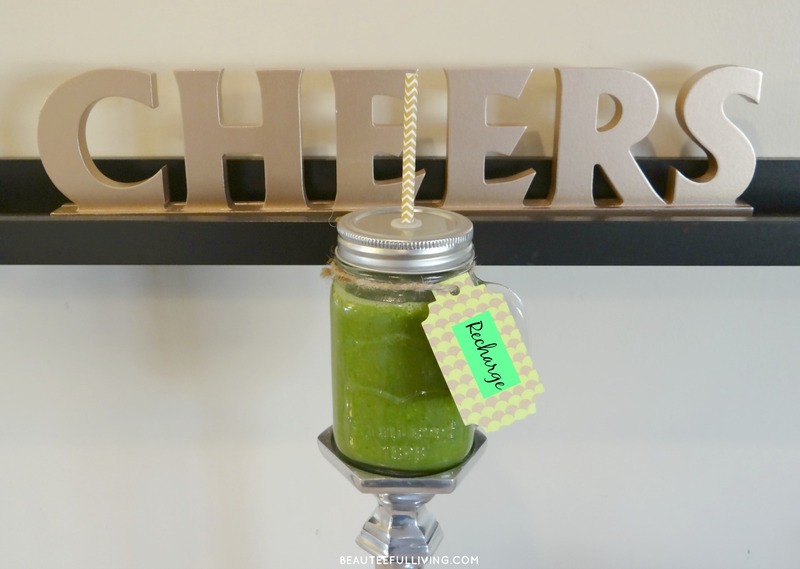 Thanks for this awesome Daily Recharge Smoothie recipe! I have yet to give it a try!